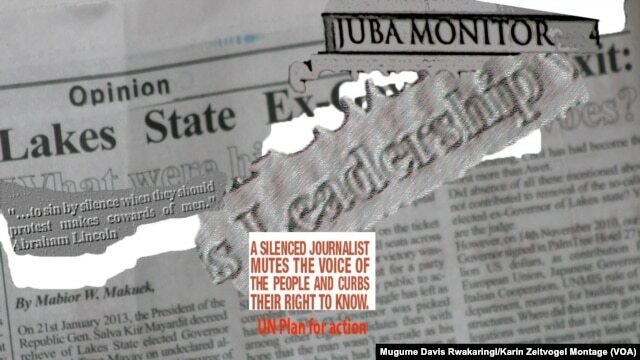 A montage of the Juba Monitor newspaper and an excerpt from the UN Plan for the Safety of Journalists. The Juba Monitor has had four print runs seized since South Sudan erupted in violence in December 2013. 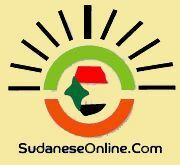 South Sudan Information Minister Michael Makuei on Monday warned media groups and journalists that they will face harsh punishment if they publish or broadcast interviews with rebels inside South Sudan. Makuei issued the warning after United Nations-run Miraya FM aired a pre-recorded interview with an official who defected from President Salva Kiir’s administration when South Sudan plunged into crisis in December 2013. He has made similar warnings at least twice in the past, and said the government will punish anyone who ignores the repeated cautions. Makuei also repeated something he said last year when he first made the warning – that journalists who publish or broadcast interviews with the armed opposition are agitators and rebels themselves. He said they will suffer the consequences of their actions. We are shutting media houses down if you interview any rebel here to disseminate his or her plans and policies within South Sudan. “If you can go as far as interviewing the rebels to come and disseminate their filthy ideas to the people and poison their minds, that is negative agitation. You either join them or else we put you where you will not be talking,” he said. Journalists and rights groups have said there were some limits on free speech in South Sudan before the conflict, but media rights have been further eroded since the crisis began. Several media houses have been closed, newspapers have had their entire print runs seized, and journalists have been arrested or detained. Several have been detained this month. In August, the Committee to Protect Journalists (CPJ) said it knew of "...at least 10 cases -- and there are probably many more -- where journalists are harassed or threatened with arrest for their reporting." "It goes along with this notion that some of the authorities want journalists not to cover the conflict or at least cover only their side of the conflict," CPJ East Africa representative, Tom Rhodes, said. The crackdown on the media comes in spite of new media laws that were passed last year, and which are supposed to ensure access to information and provide journalists with the protection they need if they are arrested over a story they have reported.